After Motorola's big event today, we didn't figure much of anything else interesting would be going on. We were wrong - numerous sources have confirmed to TheVerge that Amazon is legitimately, actually working on a smartphone. We totally pretended to call it. 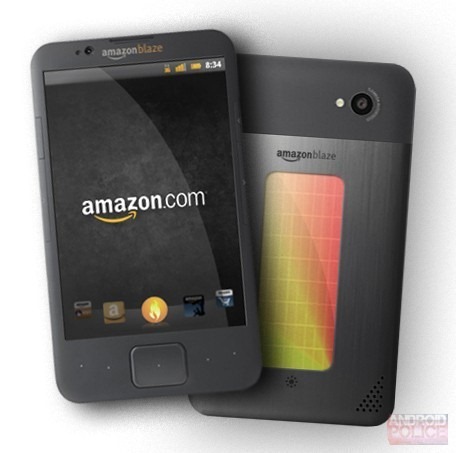 Those same sources say that Amazon's phone is yet to be totally finished, but that we may see a prototype tomorrow at Amazon's event in Los Angeles. They've also confirmed it runs a variant of an expected-to-be-announced Android 4.0-based Kindle Fire OS, which makes sense. That means no Google services, which definitely would put it at a disadvantage compared to, well, almost everything on the market. But I wouldn't be too quick to count out Amazon's potential for success here. They know how to make things cheap, appealing, and most importantly, how to make them sell. We could be in for some real surprises. No other details were offered up, but rest assured, we'll be live at Amazon's event tomorrow to see how this all plays out.